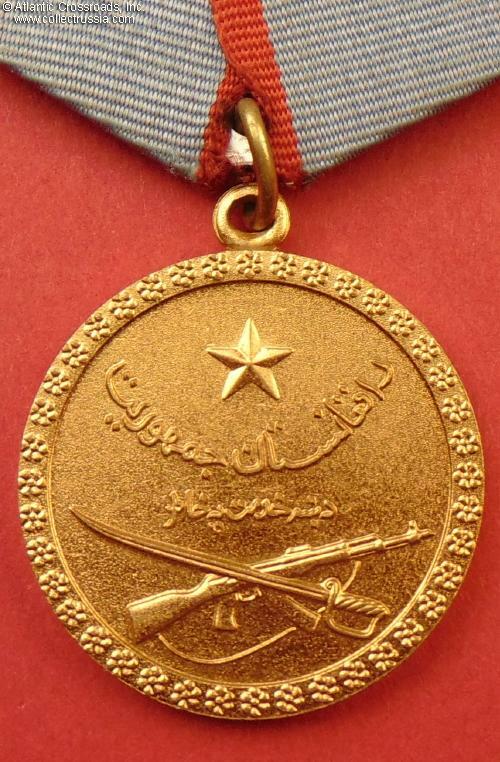 Afghanistan, Medal for Good Service, 1980-1992. 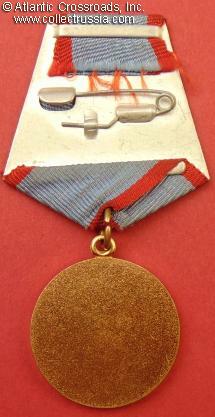 In brass; 32.0 mm wide. 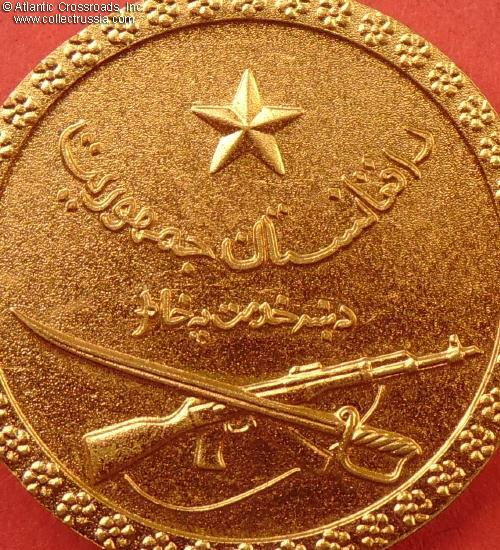 Soviet-made like nearly all Afghan awards of the Communist period, this medal is similar in design and significance to Soviet Medal for Combat Service (aka Medal for Military Merit). 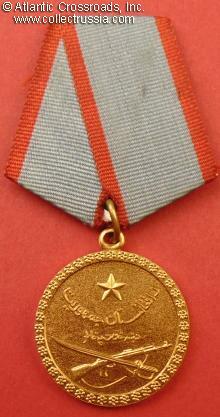 Awarded to servicemen for actions that involved severe life-threatening risk and contributed to success of combat operations. In excellent, near mint condition - among the best examples we have ever seen and literally impossible to upgrade. 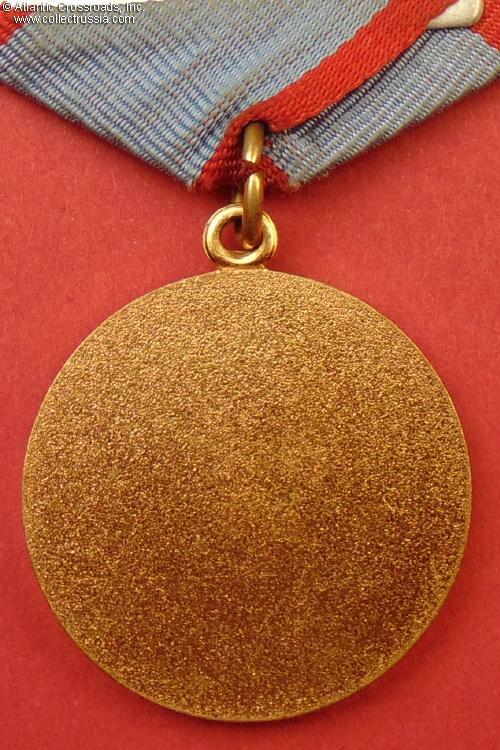 The original gilt finish is exceptionally well-preserved and bright, essentially pristine. The details are perfect, completely free of wear. 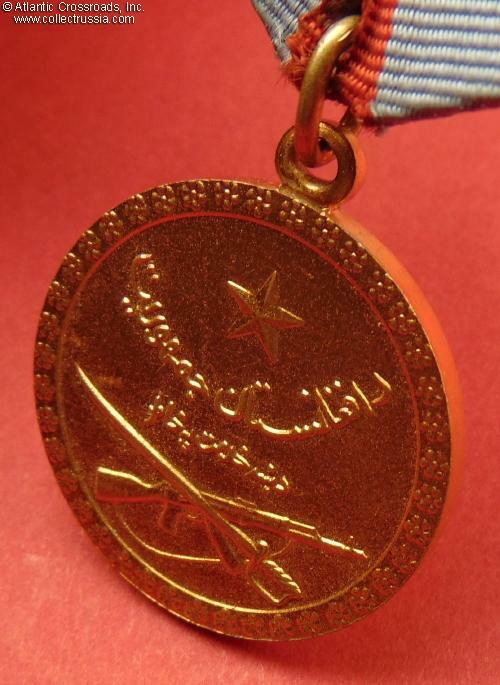 The medal is completely free of the usual blemishes or any other noticeable wear. Comes with correct old ribbon mounted on original suspension.